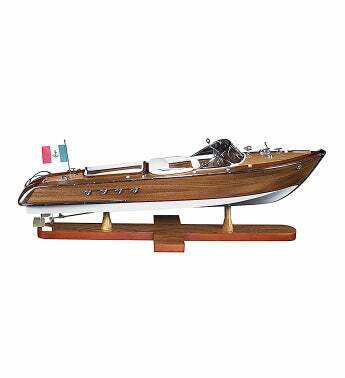 This shining mahogany, leather-accented early speed boat model oozes Old Hollywood charm and intrigue. A perfect addition to the home or office, make your favorite navigator feel all the luxury and excitement of this classic vessel. This shining mahogany, leather-accented early speed boat model oozes Old Hollywood charm and intrigue.